Is there any practical reason for having a usable broadax in the 21st century? Probably not. This one belonged to my grandfather. He used it to hack out cross ties for a nickel apiece during the Great Depression. This one is double-beveled, made by Underhill in Nashua, NH, probably for a shipwright. 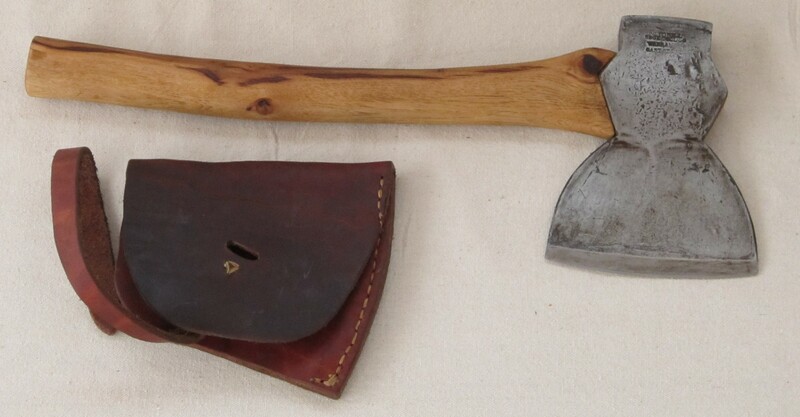 And this one, a cooper’s side axe for listing the edges of barrel staves. The attitude of the eye makes it right-handed, similar to the socket of a goose-wing axe. It is a bit heavy for one-handed use, but makes a great light hewing axe.